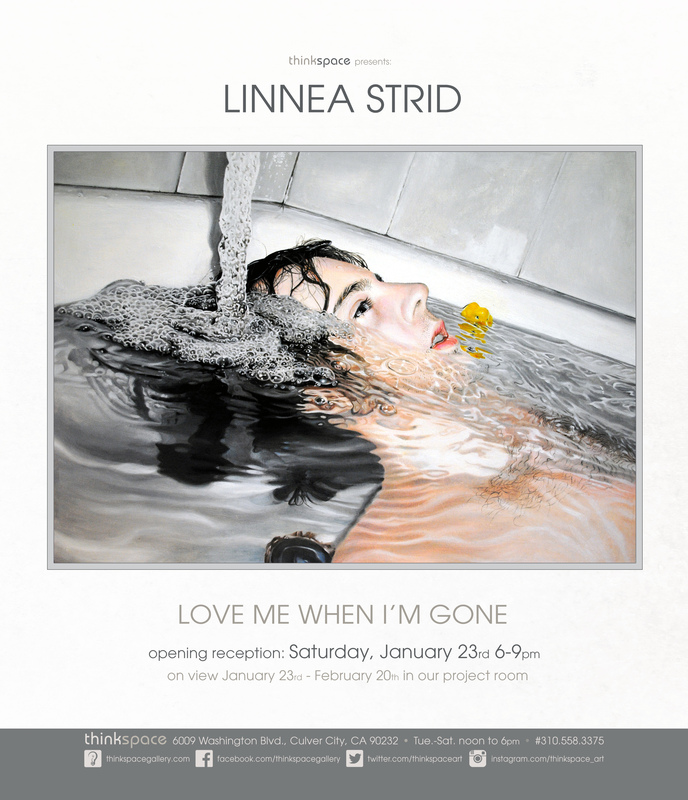 On view in the Thinkspace project room is Love Me When I’m Gone, featuring new works by Swedish painter Linnea Strid. Known for her emotive, hyperrealistic paintings, Strid captures minute details with surreal precision, creating a world that feels uncannily amplified. In this new series of works, Strid continues to explore imagery with water. 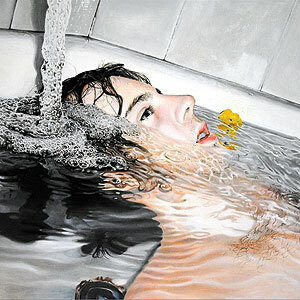 Expert at capturing its reflective movement and depth, her paintings are filled with refracted light and distortions. Her subjects are presented in varying states of submersion and vulnerability, as her watery portraits take on a meditative dimension. Suspended somewhere between an unsettling and eerie calm and a foreboding anticipation, Strid arrests time. In this series, Strid celebrates, and sensitively portrays, the artist’s struggle with anonymity, under-recognition and self-exposure, and the passion that nullifies the rational avoidance of this price, in a tribute to friends and artist peers. Recognizing that the work of many artists evades validation and economic success in their lifetime, the exhibition title expresses the delayed validation and expected sacrifice that comes with dedicating one’s life to art.